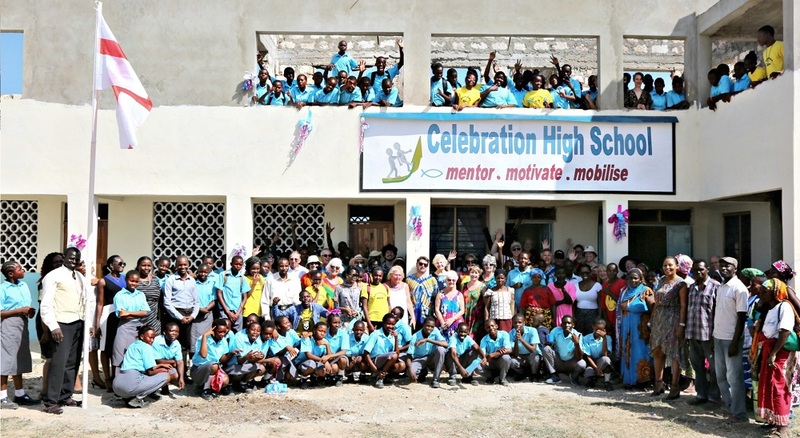 Celebration High School opens for 70 children!! Wonderfully, we have been able to open the School at the beginning of 2019 with two classes of 35 children and a full complement of staff! Whilst on a family holiday in 2006, Debbie Scott met Pastor John Kahindi in Utange, Kenya, after getting away from the tourist areas. John and his wife Elizabeth were overseeing the care of ten children in the village who had lost one or both their parents to AIDS. 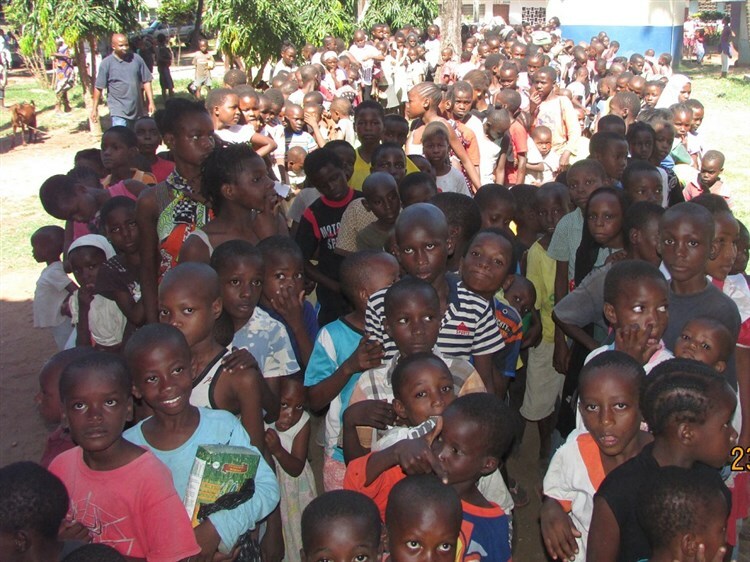 These were just a few of the hundreds of children orphaned through AIDS. On returning home, the plight of the children laid heavily on Debbie's heart. As a Christian she would pray for the children and felt God say that He wanted her to do something about their plight. So, with a small team, she began fundraising through The Sure Foundation to build a home and to feed, clothe and educate some of the children. A local trust was set up in Kenya - The Sure Foundation Home for Orphans Project - to build and operate the home which was named Casuarina House. Phase One was opened in January 2009 with the original ten children moving in. Phase Two was completed a year later and it was officially opened on 29th January 2010 with a live broadcast from Casuarina House by Lorna Milton on BBC Three Counties Radio. A further fourteen children, making twenty-four in total, now live in Casuarina House for whom it is a home for the children rather than an institution. It is somewhere that they feel nurtured, cared for and loved. The whole team want to give the children hope and a future. Click here to find out more about Casuarina House. 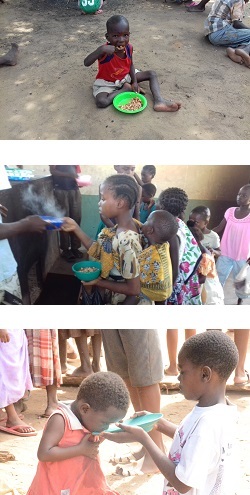 Your donation to the Utange Orphans can make a real difference! If you are a UK taxpayer, we will be able to claim back Gift Aid on your donation. 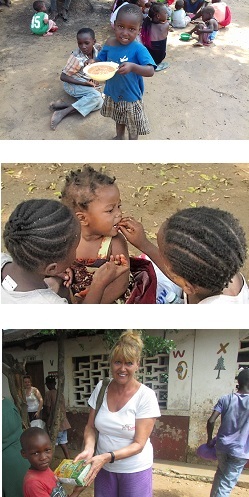 Debbie has embarked on an additional campaign to feed more of the AIDS orphans in Utange. Feed500 is bringing some nurture to 600 orphans in Utange through a feeding programme run from a new building on Pastor John's church land of which The Sure Foundation Home for Orphans Project has aquired the use. These children are starving and very distressed, and do not even have a regular meal each day, sometimes not for several days. But we know that with your help we can change this and make sure they eat every day. Please consider becoming a supporter of the Feed500 programme. We are so grateful to all who have supported the Project thus far and hope that others will join in praying for and financing the on-going work. In 2015, the orphans project was transferred from Th Sure Foundatio to the Utange Orphans Charity dedicated exclusively to these disadvantaged children in Utange, Kenya.